Document Date: 31st January, 2012. The Silver Spoons Quality Awards to Restaurants in Malta. The WRMC Silver Spoons Awards objective of WINES AND RESTAURANTS OF MALTA.COM , referred to as the WRMC, is to reward exceptional chefs, and first class dining establishments and place them in an elevated category of their own. Models of rating are based on those of the top rating agencies in the world, with adaptation in accordance with our own specific policies. These will eventually lead to awards in accordance with our stringent criteria based on certain factors in which restaurants need to score well above average points in their category to achieve. 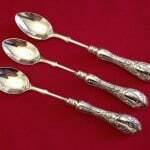 How are Silver Spoons Awarded? Silver Spoons are not awarded for the food alone. Other considerations such as setting and décor, service, serving staff demeanour and deportment, management attitude towards clients, cleanliness, harmony of the menu, wine list and mark-up, overall value for money in accordance with the category of the establishment, are of major importance and shall all be taken into account when scoring points are given. Each item within the criteria is given scores in accordance with its considered importance in the rating system. The traditional French rating system out of 20 points shall be used. A score of 20 is very hard to achieve and a score of 19 is seldom given but can be achieved by the very “best of the best” Chefs and establishments. With reference to the cuisine, below are some of the key areas of appraisal. 1.) Ingredients: The integrity and use of first rate ingredients is essential. How true ingredients are to their individual flavours highlights a chef’s confidence in the produce they are using. Quality ingredients however do not always necessitate that they be the most expensive. In fact the ability to take an inexpensive ingredient and turn it into something exquisite requires great skill and is a way of identifying true talent. The use of local and seasonal ingredients is also a consideration. Ingredients alone, however, do not make for award winning food, rather it’s the way those ingredients are brought together as a harmonised whole that deliver truly outstanding results. 2.) Taste: Technically flavours have to be amazing, but balance is critical. Dishes that are over-complicated and pretentious often do not fare well with diners or inspectors. Chefs must consider the whole menu carefully ensuring that individual ingredients and their effects on each other combine harmoniously. Great chefs consistently demonstrate an aptitude for bringing out the integrity of ingredients and successfully marry those flavours as a complete dish. Too many unrelated tastes on a single plate are confusing to the palate. Everything on the plate has to have reason. Simple can also be special. In many instances simplifying dishes would see restaurants more likely to win an award. 3.) Presentation: The sight of food elicits a range of physiological and cognitive responses. “The first taste is always with the eyes.” Food presentation is therefore second to none in eliciting initial anticipation. Enjoyment of food is guided by the visual. Presentation then is of foremost importance in establishing a diner’s first impression of the awaiting meal. 4.) Technique: Individuality is at the heart of great cooking. A chef’s creativity and individual interpretation of a dish is what makes for an exciting and memorable experience. Through-out the world, there are an abundance of keen chefs and cooks with great ideas but true creative mastery requires dedication and discipline. The execution of a concept goes beyond just imagination and demands talent, teamwork and leadership. Great chefs deliver dishes that are clever without being convoluted – dishes that inspire and intrigue. Award winning food must not be so innovative that a diner is unable to identify what is on the plate. 5.) Value: The WRMC inspectors are mindful in their evaluations to measure restaurants by what they are attempting to be. Nouveau cuisine, for example, cannot be measured in the same way as traditional country style or casual dining cooking – the personalities of the two food styles are unrelated. While nouveau cuisine erupts with originality and finesse, food portions are characteristically less generous. Casual dining style cooking on the other hand typically rewards diners with hearty traditional recipes at comparatively inexpensive prices. How is one, therefore compared against the other considering their heterogeneous food focus and style? The answer lies in whether the quality of the experience fits the price and meets with customer expectations. Again balance is of underlying importance. 6.) Consistency: Of utmost importance is consistency of quality, though consistency of technique, presentation and taste are also of decisive significance. Far too often restaurants do not perform in this essential area. Award winning restaurants effectively synchronize their entire operation and successfully repeat their efforts time and time again. Consequently this managed permanence inspires confidence, forming the foundation of effective relations both at an emotional and predictability level. Lack of consistency is not just a loathing of restaurant reviewers, it is equally abhorred by regular diners. Who are the WRMC inspectors? WRMC inspectors are individually headhunted for their qualifications and experience. Their identities are kept strictly confidential. Inspectors always dine anonymously and always, always pay full fare. Anonymity is fundamental in the minds of the WRMC directors, ensuring accuracy and unquestionable objectivity. WRMC inspectors and directors convene several times throughout the year to discuss restaurants and chefs, and evaluate ratings. Prior to the annual release of the awards in January, these ratings are cross referenced and ranked; if there is contention over the rating of a restaurant, it may be re–scrutinised and re-inspected by the panel upon recommendation. How can restaurant-goers have a say in showing satisfaction or disappointment with a restaurant? Without question customer comments are integral in identifying quality establishments; after all, our members and followers are for whom the website and ratings are produced. Members are encouraged to forward their comments and opinion about restaurants they visit in our Facebook Group: Restaurants in Malta:The Good;The Bad; The Rip-Offs, which may lead to a visit by an inspector. However, the WRMC invariably has the final say on ratings and Silver Spoon Awards. Additionally, the WRMC reserves the right not to post reviews sent in by members, if construed to be inappropriate. Satisfaction, disappointments, overpricing and general lack of quality in cuisine and service commented upon by members will be given the importance due, if these shall refer to a restaurant that might be considered for an award, albeit after careful scrutiny and inspections by our inspectors and directors. Advertising & Silver Spoons Award Accuracy. WRMC does not accept advertising from restaurants. All commercial matters are kept independent and in no way influence our inspection team’s adjudication. The WRMC prides itself on the fairness and accuracy of its ratings and is committed to awarding establishments for excellence based on what we believe to be fair, balanced and accurate criteria. The WRMC allocates Silver Spoon Awards with the upmost integrity, albeit in acknowledgment that all reviews are subjective. What we consider to be exceptional you may consider average and just like that the food critic debate is born. That’s why we have opened up our Facebook Group site to members’ comments and have made the whole process a little more democratic. We pride ourselves to be considered “reviewers” rather than “critics”, as we look for the complete entity rather than for just faults which is the field of the “critic”. Restaurant types and categories being inspected for the awards shall vary from Fine Dining; Up-market Casual Dining, and up-market Wine Bars offering top class cuisine. Up-Scale Hotel Restaurants offering exclusive buffet lunches and dinners shall also form part of the selection process. Specialised and Ethnic restaurants such as Steak Houses, Chinese, Japanese, Asian and Oriental, Indian, Thai and others who cater for a specific cuisine type and class of client, and fall under the catgory of Fine Dining and/or up-market Casual Diner, will also be considered. Snack bars, cafe’s, fast food restaurants, fast casul diners, family oriented casual diners, and possibly some other catering establishments which form a large part of the catering establishments in Malta, are not considered to be gourmet or connoisseur establishments and consequently do not fall under our awards criteria. These include restaurants that try to be “a-one-and-all” food entity. The Following Are The Category and Quality Awards Being Awarded to the Topmost Restaurants in Malta and Gozo through Our Exclusive Silver Spoons Categorised Awards. Fine Dining , Up-Market Dining and Specialised Restaurants. Exceptional quality of cuisine, service and ambience. Three Silver Spoons Certificate. These would be among the topmost, exceptional restaurants in Malta where cooking demands national recognition. These establishments exhibit intense ambition, a passion for excellence, superb technical skills, and remarkable consistency. They will combine appreciation of culinary traditions with a passionate desire for further exploration and improvement. 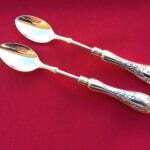 There would be very few restaurants which would be awarded three Silver Spoons. Precise and luxurious in service, setting & cuisine. The dining room should be set with linen tablecloths & napkins, designer crockery, silver cutlery, and crystal glassware. Serving staff are required to be uniformed in elegant/formal attire and trained in the art of silver service. Degustation menus, vegetarian menus & private dining rooms should all be available, and complimentary pre dinner hors d’oeuvres served. A fully accredited sommelier or experienced wine waiter, should be present to assist with wine selection. The wine list must be extensive, offering a wide selection of contemporary & boutique international and local wines all cellared under temperature controlled conditions. A separate cocktail and Bar area should be available for pre or after dinner drinks. Formal attire, suit and tie, is the minimum dress code for these establishments. Fully qualified and trained personell should be employed, and offering full table service, without exception. Table setting are typically set with linen table cloths & napkins, quality cutlery, crockery and glassware. Service should be astute, serving-staff uniformed and the décor sophisticated. The wine list should be generous with a selection of local and international wines. These establishments can be reserved in style and a smart dress code is usually required. The WRMC Three Silver Spoon award is the top award that most restaurants should aspire to reach, as only the top up-market establishments would satisfy the demanding criteria established for this prestigious award. Under normal circumstances, restaurants aspiring to achieve the standard of the above major category would not be suitable for children. Also, a major matter and issue would be tables placed in close proximity, which would hinder the privacy of diners, clear passage for serving staff, as well as diners bothering others by consistenly moving around to go our for a smoke. The restaurant should be one that by virtue of its standing, attracts clients that respect and uphold the highest standards of dining and social etiquette. Fine and up-market Casual Dining Restaurants. Cuisine and Service excellent and out of the ordinary. 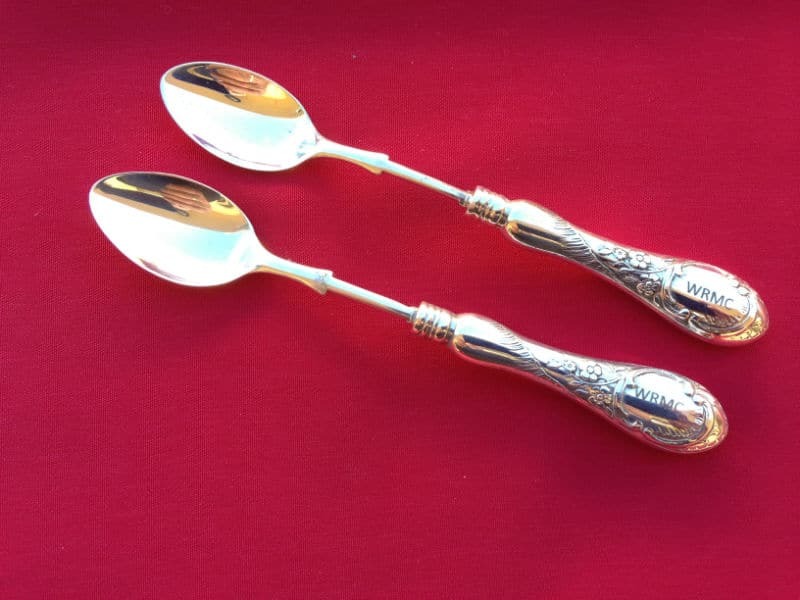 Two Silver Spoons Certificate. Excellent restaurants that achieve standards that demand recognition well beyond their local area. The cooking is underpinned by the selection and treatment of the highest quality ingredients. Timing, seasoning and the judgment of flavour combinations will constantly be excellent. These virtues will tend to be supported by other elements, such as intuitive service and a well-chosen wine list with decent mark-up levels. Fully qualified and trained personell and offering full table service, without exception. Table setting are typically set with linen table cloths & napkins, quality cutlery, crockery and glassware. Service should be astute, serving-staff uniformed and the décor sophisticated. The wine list should be generous with a selection of local and international wines. These establishments can be reserved in style, and a smart dress code is usually required. These restaurants are not always suitable for young children, due to the standard that has to be upheld; prices; possible cover charges and gratuities expected. Pre-table reservations are normally required in these establishments. Excellent restaurants that aim for, and achieve outstanding standards and better consistency than for the one Silver Spoon award. A greater precision is apparent in the cooking, and there will be obvious attention to the selection of quality ingredients. The full standards specified for the one Silver Spoon awards must be satisfied without exception. Fine or Up-Market Casual Dining Establishments. An outstanding restaurant in its category with consistent higher aspirations. One Silver Spoon Certificate. These restaurants achieve standards that stand out in their local area. They serve very good food prepared with care, understanding and skill, using good quality ingredients, and in a pleasant environment. Could be family friendly, but clients should not expect a bargain as these restaurants would be more up-market than simpler establishments. The same expectations would apply to hotel restaurants where guests can dine in confidence and a sense of anticipation. These Establishments are smart-casual in style and setting, generally welcoming and sociable. A pleasant ambience and decor, cleanliness and hygiene are of major importance throughout. Table service is a requirement through trained serving staff. Adequate table settings with good quality cutlery, glassware and linen napkins. Linen covered tables are a must. Harmonious, easy to follow, and well produced menus and wine lists must be available. These awards shall be the result of careful deliberation. Inspectors appointed by the WRMC dine anonymously. Their reviews and directors’ reviews determine these results. Final award decisions will be taken at all times by the Directors of the WRMC. Awards for a particular year will be announced in January of the following year. 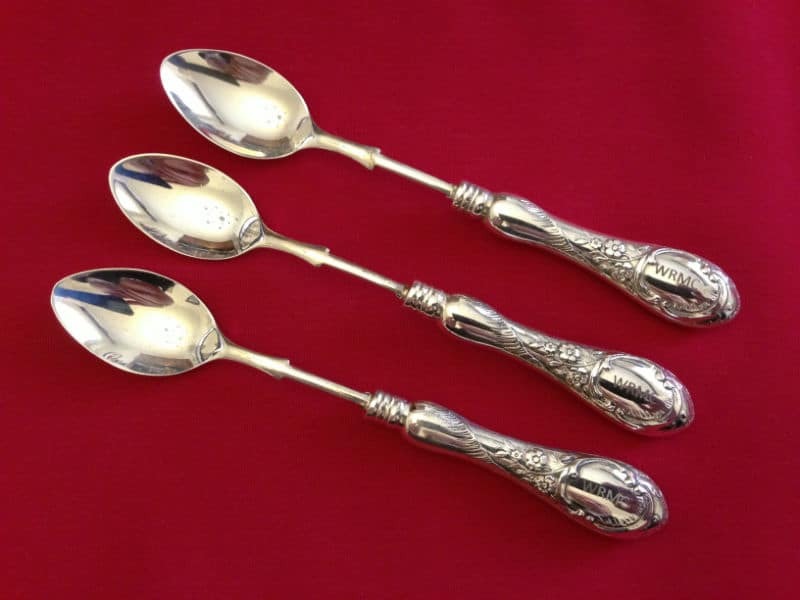 The Three Silver Spoon awards will be awarded, to retaurants after careful consideration of consistency in all requirements after the particular restaurant would have held the award of Two Silver Spoons for at least two years respectively and after very careful adjudication by appointed arbitrators and the WRMC Directors. The One Silver Spoon Award, will only be bestowed on a restaurant, on the above criteria, and the establishment must have been operated by the same owners, operators or management team, and with the same executive chef for not less than two years from the date of the award presentations. Suspension of the Silver Spoon Awards. When an Executive Chef that works in a restaurant that holds any Silver Spoon Awards, moves from one establishment to another, the award is suspended at the restaurant that they have just left. The award does not follow the Chef either. As the award is given on the basis of the quality of the cuisine, service and the standard of the actual venue. The complete dining experience is considered and must be consistent in accordance with the awards criteria. Change of ownership, operators and management of the establishment would also affect the holding, and/or bestowing of any of these awards. A total change in the circumstances of an establishment would require further assesments. 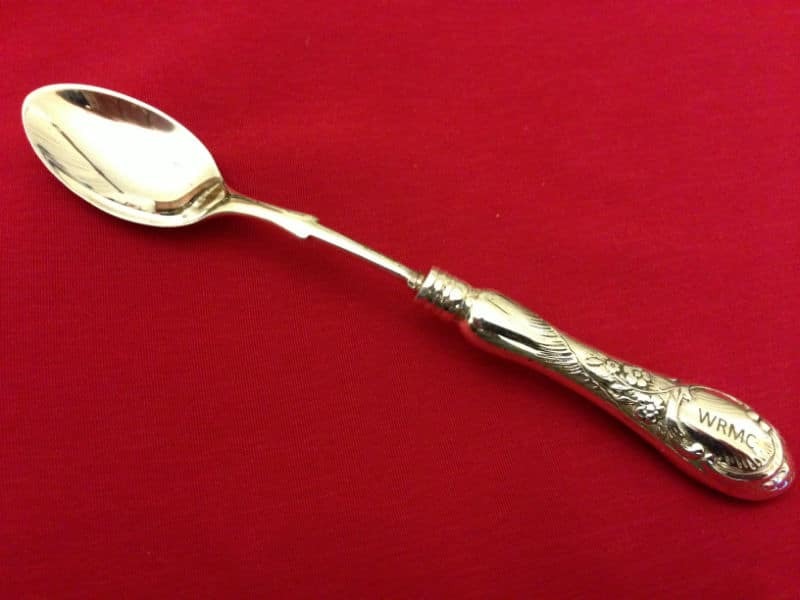 When a Silver Spoon Award had been awarded a full re-assessment would have to be carried. We therefore expect and recommend that establishments would inform us immediately of any change in their circumstances, so that we would be able to schedule forthcoming inspections to reassess the situation and quality accordingly. Once established these awards would be highly coveted by restaurateurs as they are aimed to reward and to give the highest recognition to the best of the very best establishments and Chefs. 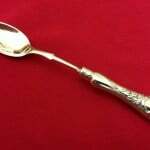 The first presentation of the Silver Spoon Awards, which would entitle the recipients to describe themselves as a “WRMC One/Two/or Three Silver Spoon/s Restaurant”, shall be held on the 15th of January, 2013. Wines and Restaurants of Malta.Com shall also award selected restaurants with the “WRMC 30 BEST RESTAURANTS IN THE MALTESE ISLANDS” award. These restaurants are selected from those establishments that are inspected during the previous year prior to the awards presentation, and adjudication is based on the above criteria. Copyright (C):This Document is not to be copied, placed on websites and on the internet, and/or transmitted to third parties in any form,without the consent of the owners viz: R. Spiteri of 54-Christine, Triq L-Arzell, Marsascala MSK3410, Malta. It is intended only for the sole use of the person to whom it has been officially sent to by the above. 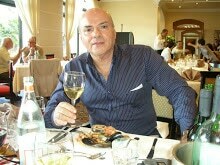 International Marketing Services to the Wine & Restaurant Industries.